New in at Sew Me A Song is The Collection Quilt Pattern from Carolyn Friedlander's Slow Sewing Studio. 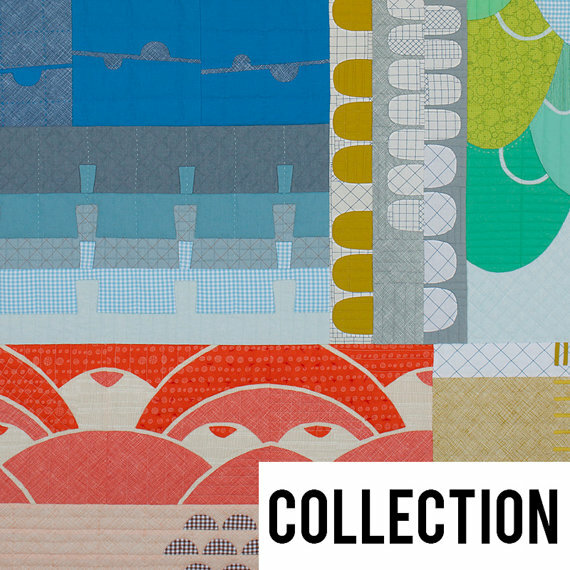 New in this week at Fabric Please! 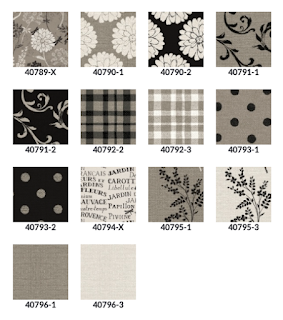 is Jardin de Provence by Daphne B for Windham Fabrics. 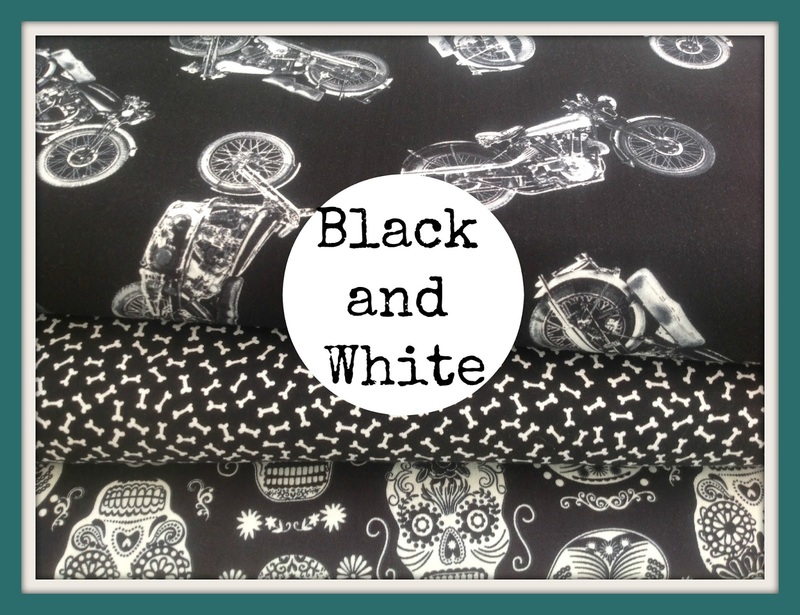 I've sewn with this line and they are a fantastic set of neutrals to mix in with other projects or all together as a black and white quilt which was what I went for. 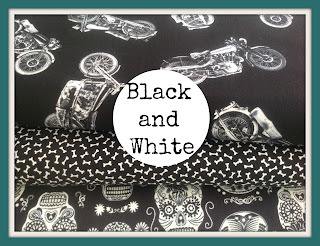 Elephant In My Handbag have some fabulous new Black & White fabrics from Timeless Treasures including vintage motorbikes, glow in the dark sugar skulls and tiny dog bones. 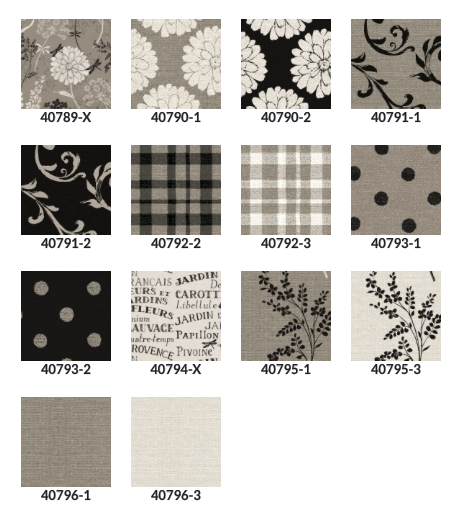 I love the look of the dots in Jardin de Provence! I'm in love with the Jardin de Provence too! I will have to try to keep my hands off the merchandise! It looks even better in person!